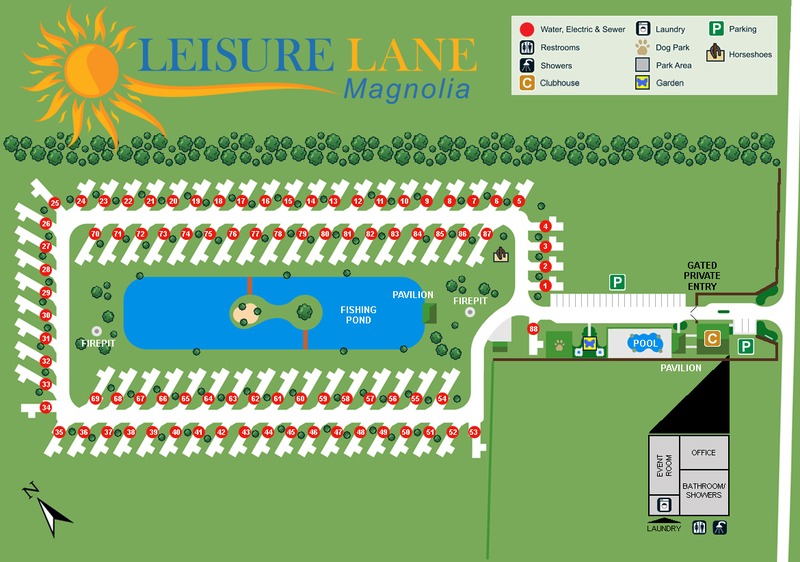 Welcome to Leisure Lane Magnolia RV Park! You have chosen on of the best RV parks in Magnolia, Texas. We cater to those who prefer higher standards of beauty, quality and safety for your family RV vacation. Our facilities consist of beautifully landscaped and well-maintained concrete sites. Our guidelines are strictly enforced to maintain these standards. Please familiarize yourself with these guidelines. Thank you and enjoy your stay with us!